Osfontein: Come and enjoy life as it was 100 years ago. Let your children experience life without electricity, cell phone coverage or burglar bars. 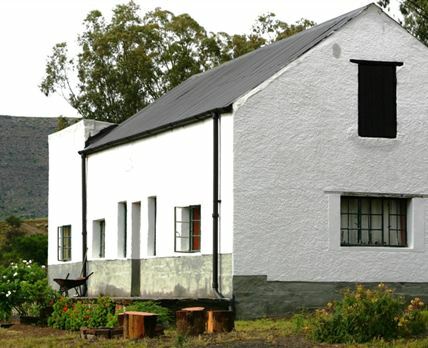 You will love the peace and tranquility of Osfontein, where you will be the only guests during your stay. The self-catering accommodation comprises four bedrooms, sleeping up to ten people. Features include a dining room, a living room with a fireplace, a kitchen with a fridge, indoor and outdoor barbecue facilities, and secure parking. There is no electricity in the house, though paraffin lanterns are available in all the rooms and the fireplace can be used throughout the day and night. There is a geyser for hot water and we provide 5 kg of wood per day. Additional wood can be purchased at R20 per bag. Click here to enquire at Osfontein.